We published a fascinating post last week by our friends at the Frapin Cognac Estate and one of the most surprising insights we learnt about Cognac was that a classic Champagne flute was considered an excellent glass to enjoy it from. This sent us into curiosity mode about why the taste experience of certain beverages was enhanced by the shape of the glass it was served in. Where better to turn than the experts at Riedel Crystal, the Wine Glass Company for a lesson in why content dictates form. Riedel Crystal is the 250 year old family-owned creator of the world’s first grape-specific glassware to enhance the experience of wine; an innovation that has changed the direction of the industry for good. With an unquestioned pre-eminence in the world of wine and makers of outstanding glasses, the brand has become a byword for the philosophy on which they have built their success: form follows function. Claus J. Riedel (9th-generation owner of Riedel glassware) blended science and design with the artistry of some of Europe’s finest glass blowers, to create the world’s first wine variety-specific range and forever change the way wine was appreciated. Grape variety is a key factor in determining the relationship between fruit, acidity, tannin and alcohol; wines display different characteristics when served in a variety of glasses. The idea that a glass can balance the tannin in a rich Cabernet Sauvignon or highlight the freshness in a Chardonnay seems implausible, but generations of drinkers have discovered the Riedel revelation that has evolved the way consumers drink wine. 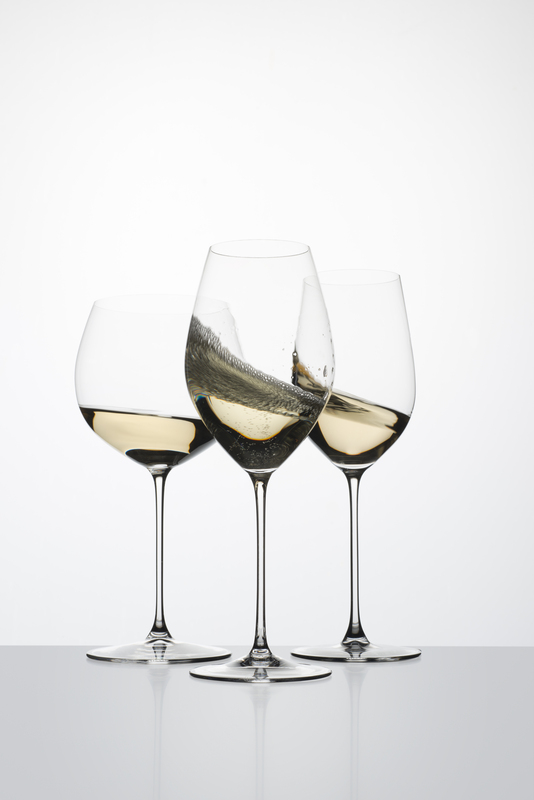 There is a complex role that size and shape play in conveying the message of a fine wine, and Riedel has developed exactly the right shape to ensure the drink is delivered to the right areas of the mouth. Wine friendly stemware translates the bouquet, taste, balance and finish of a wine to the senses. There are 4 sensations in wine enjoyment which come with grape varietal specific stemware; bouquet: responsible for wine aroma (quality and intensity), texture: highlighting the exciting variable mouth feel of wine (watery, creamy, silky, velvety), flavour: creating a balanced interaction between fruit, minerality, acidity and bitter components, and finish: only grape varietal specific stemware offers a pleasant, seamless, harmonious, long lasting after taste. Affecting the quality and intensity of aromas, the size and breathing space in a Riedel glass has to be chosen according to the “personality” of the wine or spirit. The architecture of stemware is determined by three parts: Bowl – Stem – Base, and the design of a stemmed glass has to relate harmoniously in size, height and width. 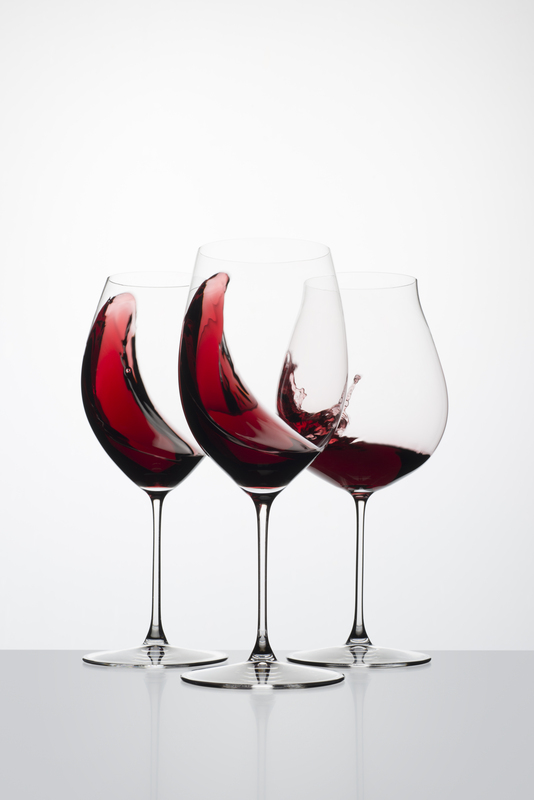 Riedel ensure each glass optimizes positive notes by changing bowl and rim size to concentrate or minimize fragrances given off during the staged evaporation of its contents. Riedel believe in the highest quality of glassware, which comes with superior execution in terms of glass colour, brilliance and exceptional ring. A grape varietal specific Riedel glass is a wine tool = “the key to wine” which can unlock the most elusive characteristics. Known for designing the most finely tuned drinking instruments for every level of wine sophistication; you don’t need to be a wine writer, a wine maker or an expert to taste the difference that a Riedel glass can make. entire spectrum of Champagne flavours. Our thanks to Riedel for this post. Next articleAppWelcome To The Luxury Restaurant Guide - We Are Now Live!